Data is not meant to be hoarded and packed away so that only a select few can use it. Despite this obvious reality, many organizations still struggle with data silos and cultures of data ownership. 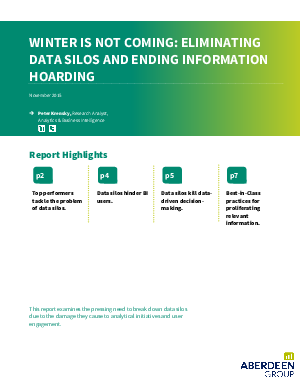 This report examines the pressing need to break down data silos due to the damage they cause to analytical initiatives and user engagement.